If a narrator is unreliable, he or she ought to at least be thoroughly enjoyable. 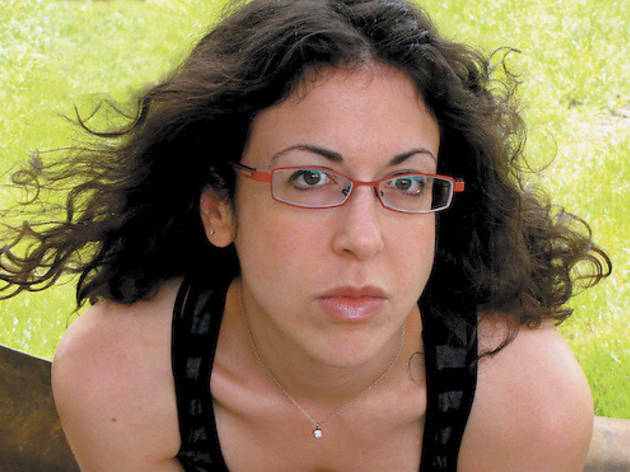 Such is the case with Andrea, the heroine of Chicago author Sarah Terez Rosenblum’s debut novel, Herself When She’s Missing. The story is actually of Andrea and her girlfriend Jordan, but Jordan is such a destabilizing force that the relationship largely serves to magnify and exacerbate Andrea’s struggles with her own self-doubt and identity. Andrea and Jordan meet outside a concert in Los Angeles; both are students despite their age difference (Andrea in her early twenties, Jordan in her early forties). A single line triggers their romance. Andrea admits she’s alone, waiting in line for the concert to start, because she’s too embarrassed to let her friends see how obsessed she is with the band. “Are you kidding? This isn’t obsession; this is what makes us who we are,” Jordan says. Obsession, it turns out, is Andrea’s bread and butter. It’s what makes her such an engaging and kinetic main character for a novel, endlessly pouring energy into her pursuits. And it’s what makes her one half of a repeatedly failing relationship. As it becomes clear that Jordan rarely tells the truth, Andrea zealously attempts to catch Jordan in her various lies, and at the same time invent reasons to stay with her. That obsession is evident not only through the story but the storytelling: The narrative is a patchwork of scenes, lists, e-mails and screenplay snippets. A screenplay excerpt at the end of the book—a recounting of a memory from when Andrea was 14—shows her in a pastor’s office, trying to talk about her confusion. Instead, however, she simply asks about volunteer opportunities at the church. The scene is expertly played out, with the stage directions providing the right sensual details to hit the subtext of Andrea’s feelings, while the dialogue completely evades the point. Creating a mind like Andrea’s—one alternately scattershot and laser-focused—is tough work for a writer. 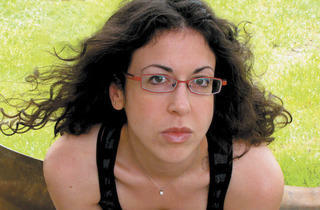 Rosenblum reads from Herself Tuesday 12.